Actress Sonakshi Sinha promotes her film R... Rajkumar on Junior MasterChef tv show sets.catch up all moments of Juniour masterchef. 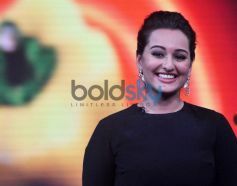 Sonakshi Sinha smilling and giving pose on Junior MasterChef tv show sets. Sonakshi Sinha dancing with MJ 5 on Junior MasterChef tv show sets. MJ 5 welcomes Sonakshi Sinha on Junior MasterChef tv show sets. Sonakshi Sinha promotes her film R... Rajkumar on Junior MasterChef tv show sets. 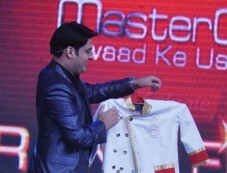 Sonakshi Sinha Kapil Sharma and Chef Jolly on MasterChef tv show sets. 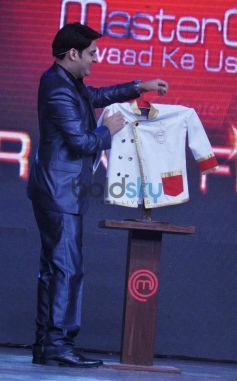 Actress Sonakshi Sinha in beautiful dress on MasterChef tv show sets. 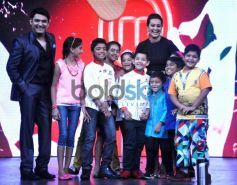 Actress Sonakshi Sinha dancing with Junior MasterChef tv show sets. 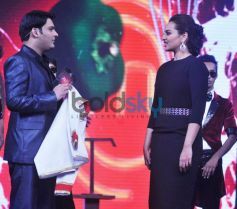 Kapil Sharma and Actress Sonakshi Sinha on Junior MasterChef sets. 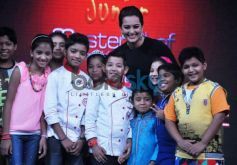 Actress Sonakshi Sinha with junior masterchefs on Junior MasterChef tv show sets. Actress Sonakshi Sinha giving pose on Junior MasterChef tv show sets.